Toledo is Nicknamed "the Glass City"
The history of glassmaking can be traced back to 3,500 B.C. in Mesopotamia. Even though the roots of glass can be traced back to ancient periods, Toledo, Ohio has emerged as the hub for glass production. Due to the expansion of railroads and manufacturing boom in the region, glass production became well known in Toledo in the late 19th century. 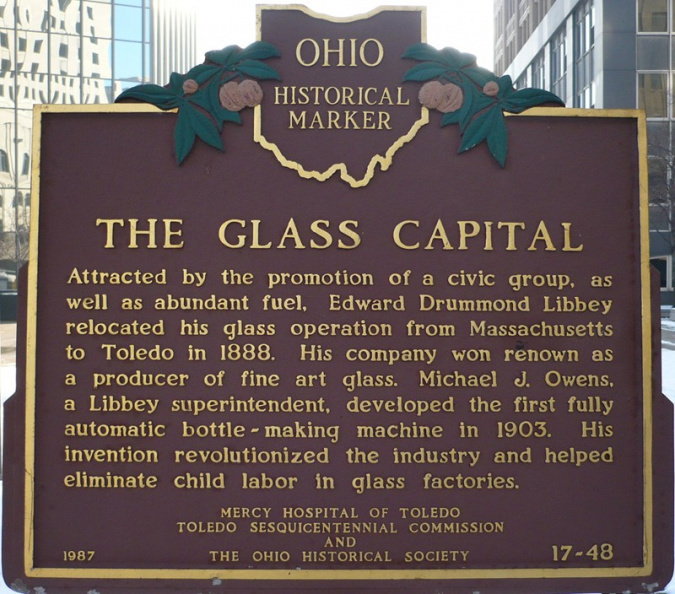 Some of the largest glass companies including Owens-Illinois, Owens Corning, Libbey Glass, and Libbey Owens Ford were founded in the northwestern Ohio city. Due to this, Toledo was nicknamed the “Glass City” and the “Glass Capital of the World”. Toledo is very proud of its history and connection with the hard substance. The city’s marathon, wine festival, and even, roller-derby team shares the “glass” namesake. Toledo is also home to the first building to be completely covered in glass. Today, the city is on the leading edge of innovation as they are home to dozens of solar energy companies that turn glass into solar cells and panels.